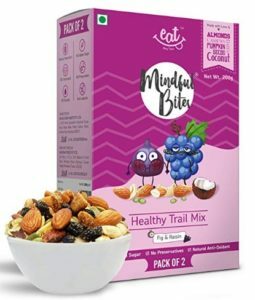 With goodness of 100 percent natural ingredients, this trail mix is free of the nasties. like refined sugar, trans fat, cholesterol and preservatives. A healthy snack with a riveting taste that will change the way you snack and help you bunk the junk. Gluten-free treat for young and old.